This T-Light Candle carries with itself a strong wintery flavor that can very well lit any Christmas party! The candle has a cylindrical shape with Read More..silver rims at both ends. In between these, stone and other decorative pieces are studded beautifully. 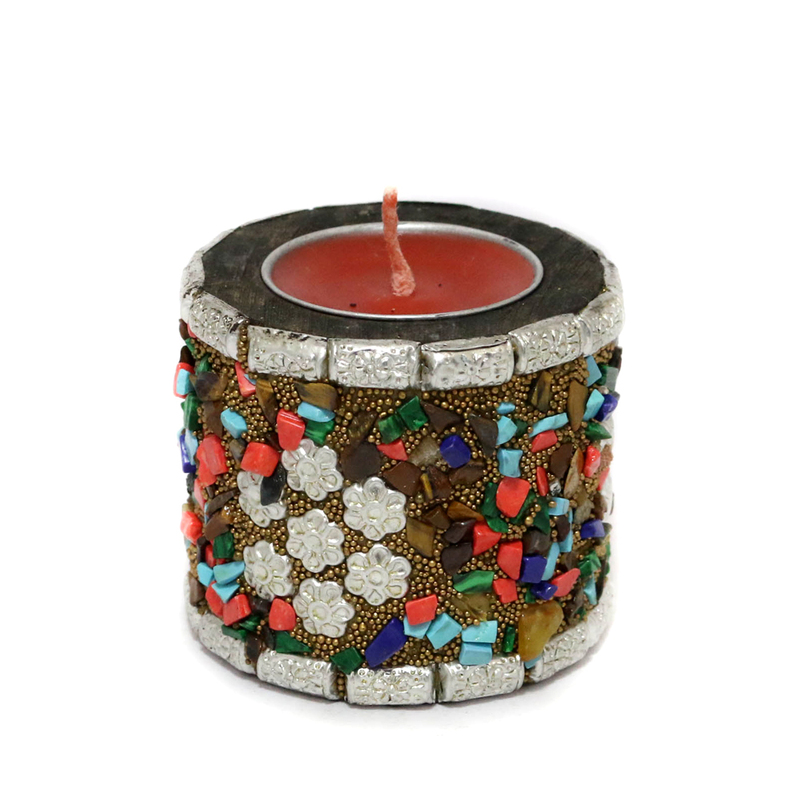 This tiny candle is vibrant and colourful enough to welcome any festival. Show Less..